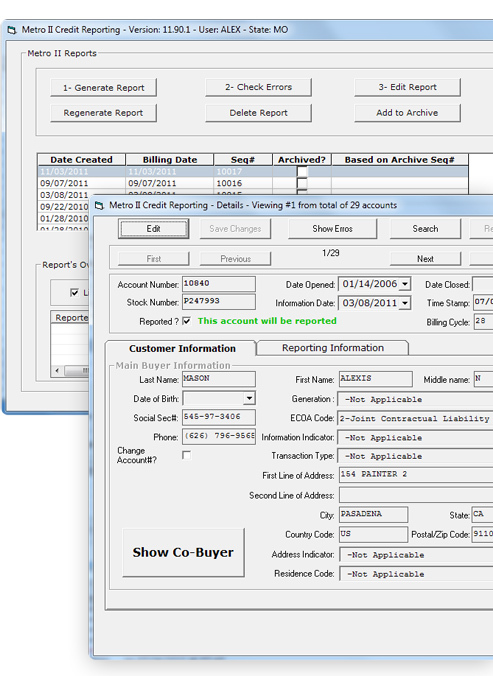 Report costumer payment activity to any of the major credit bureaus the modern, simple way. The easiest report you’ve ever filed. Through our credit reporting tool, you can file every detail of a customer’s payment history with the big three bureaus, or even an intermediary service like Corelogic CREDCO. That’s because we automatically convert customer data to fit the most modern and thorough credit reporting standards, known as Metro 2. Each time you file a report, DeskManager identifies possible errors in your submission and lets you correct them before the report is sent. It’s as fast and intuitive as using a spell checker.